The Museum of Finnish Architecture hosted a competition seeking housing solutions for asylum seekers. The first prize was shared between Germany, Italy and Finland. First prize was shared three ways and four honourable mentions were awarded in From Border to Home, an architectural competition seeking solutions to the challenge of housing asylum-seekers. The Museum of Finnish Architecture organized From Border to Home in collaboration with the Finnish Association of Architects SAFA from October 19 to November 30, 2015. 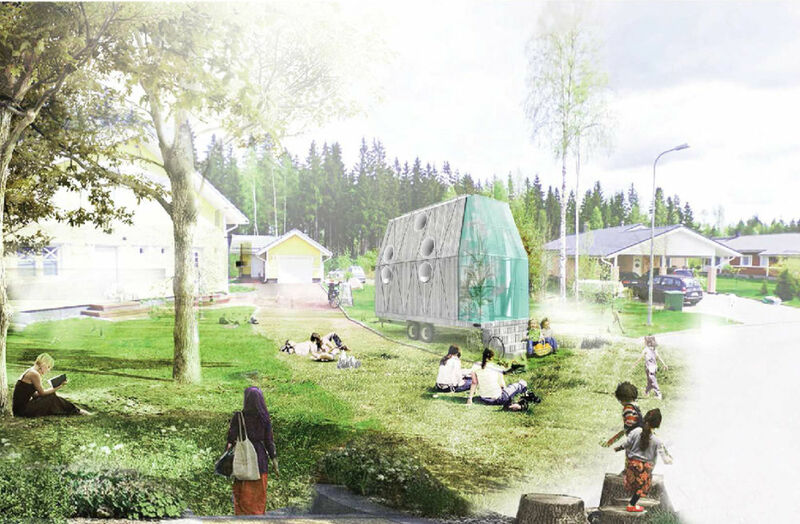 The goal of this competition was to seek solutions to the challenge of housing asylum-seekers awaiting a decision on their refugee status and prior to their finding permanent housing in Finland. First prize was shared by 181081 (Germany), 808389 Society lab (Italy) and We house refugees (Finland). The results were announced at a special reception hosted by the Museum of Finnish Architecture on January 11, 2016. Competitors were asked to submit tangible solutions with a positive social impact, which also support longer-term living arrangements. The competition was anonymous and open to all entrants. A total of 93 entries complying with the given competition rules were submitted by the deadline from numerous countries including Finland, Sweden, Germany, Serbia, Spain, Belarus and the US. The jury shortlisted the seven (7) best entries in the first round of judging. The jury regarded these seven entries as excelling in quality and as best addressing the core challenge stated in the brief. The winning entries were regarded as having a clear logical coherence and a compelling social impact. The jury praised the overall quality and diversity of the submitted entries. Many marked an attempt to tackle wider issues related to the housing shortage, construction quality problems and regional development, proving that the complex array of challenges related to housing can indeed be addressed simultaneously. The Museum of Finnish Architecture will showcase the winning entries in the Finnish Pavilion at the forthcoming Venice Architecture Biennale in summer 2016 in cooperation with the Architecture Information Centre Finland. Before that, the results of the competition will be presented in the Finnish Architecture Day – A Home For All seminar on 3rd February in Astoria Hall. Bookings can be made here. Read more about the competition on Museum of Finnish Architecture’s web page.